This episode of Living Digital takes a look at the app development process. Living Digital 017: New Year. New Apps. Need help staying on track with your New Year's Resolution? This episode highlights a few apps to help you reach your goals. You got this! Alright! 2016. New Beginnings! The future is on everyone's mind...probably. We're not that far into the new year, so I'm sure a few people are still gung ho about their resolutions. Unless you're not the "new year, new me" type. But whether you're the resolution type or not, I think the apps mentioned on today's episode's are a step in the right direction for anyone trying to course correct or improve their quality of life. So, according to a Nielsen poll ranking the most common resolutions, you guys want to be better with money, enjoy life to the fullest. And number one by a mile was of course lose...weight and get healthy. Side note, the Quantified Self Movement was built for this. Quantified self refers to self tracking we do with technology. Some of you might be wearing some type of activity tracker as you listen to this. Fuel Band, Fitbit. The Apple Watch. I don't have one myself. I pretty much stick to my phone when it comes to quantified self. Some of my apps are absolutely an asset when comes to meeting personal goals. Which makes sense because according to a Pew Report, 46% of people that track their health end up changing their over all approach to their health. So, people are tracking, counting, and swiping their way to their goals. In the past, I've had goals to reach my peak physical form. Well, not just in the past. But, this is the most common and capitalized on resolution out there. And the same way sales go up for sneakers and juicers, downloads skyrocket for fitness apps like Lose It and MyfitnessPal. And while those apps aren't new, they have staying power for a reason. I first heard about Lose It around 2011. Someone I knew lost like, 30 pounds in 3 months. So, I was like ok, let me apply this to my goal. Which was gaining 10 lbs of muscle. And when it comes apps like this, the magic isn't necessarily in all of the cool functionality or data analysis. It literally just makes you pay attention to what you're doing. Because numbers don't lie. But enough about food. Let's move on to the next resolution. Saving money. When was the last time I logged in to my Mint account. Well, there was just a lot going on. If you don't know, Mint is a money management tool that's lets you have all your bank accounts and investments in one place so you can track spending, make budgets, get bill reminders, create savings goals, track your credit score. It's just a lot. And I was so enthusiastic initially. I mean, it's depressing once you incorporate student loans and all that. But, you know, I had goals and I was organized. But then life happens. It wasn't seamlessly integrated into my life. However, I did come across an app relevant to basic financial needs. It's called Sweep and their tagline is: Budget less. Save Money. Track bills. I like that. Right to the point. The differentiator is it forecasts your cashflow. That seems really useful, because at the end of the day we really just want to know what we can spend when. I want to try it out for a few months and see how I like it. I'll link to some other finance apps on the blog. Alright, the final resolution: Living life to the fullest. The same way the body benefits from monitoring, your mind does as well. Mental self care can make all the difference. I heard a Ted Talk by Guy Winch about emotional hygiene. And what I took from it is getting to that new year new you might require tending to the psychological injuries from the previous year. Whether it derives from the loss of a loved one, a breakup, weight gain, job loss, or divorce. It's easier to say, "Oh, I'll just leave that in 2015", than actually doing it. So, before we get to June and forget what our resolutions were, I suggest trying out apps like Way of Life, MoodTrack, and Headspace. For those with the goal of becoming more optimistic or even navigating through trauma, I like the Moodtrack App. It creates easy to read graphs based on your own words, provides useful data, and guides you toward more mindful habits. Another app that helps you spot trends is Way of Life. I heard about it on the Tim Ferris show. It's simple "yes or no" functionality lets you track your habits. That simple. Did you meditate today? Yes. Sleep more than 7 hrs? Yes. Binge on social media?...Yes. 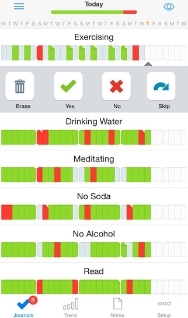 Just like Moodtrack, you can see your habits laid out visually. Red and green tiles side by side. I like it because it's so simple to update. You're just like yes, yes, no, yes and move on. It's also like a game. How many green tiles can I get in a row? The human mind is interesting that way. And finally there's Headspace A beautiful well produced meditation app and self proclaimed "gym membership for your mind". Emphasis on membership. Just like a gym, they're motivated to get you to join. Headspace indoctrinates users with their Take Ten program. Fun Fact: Prior to putting out the app, the creator, Andy Puddicombe, was a Buddhist monk. Now, he's worth over 30 million dollars. But yeah, for Take Ten there are ten 10 minute guided meditations for free within the app. Very relaxing. Andy is like the laid back British friend you didn't realize you had *Insert bad impression of Andy*. After you complete Take 10 you have the option to access more meditations (different lengths and topics) for...$12.00 a month. And was like "What am I getting for that?" And personally, it's kind of vague. They say there's thousands of hours of meditation on various topics. But you know who else has that? YouTube. For. The. Free. And before I discovered this app I'd been listening to guided meditation podcasts. Again, for free. But that doesn't mean I won't try it out. For you know...research purposes. When I do, I'll let you know the overall impact. What I do like is that for every subscription purchased, the company donates a Headspace subscription to someone in need. What ever your goals are, don't give up. There's an entire industry built around helping you help yourself. This week I speak with voice actor and author Kareem Taylor. Our conversation touches on personal branding, being fearless in the digital age, and more! You know how some apps spike in popularity? Before you know it, your timeline is flooded with the newest way for people to express their digital identity. Here's my take on the Motion Portrait app. Today, I'll be also reviewing an app called Motion Portrait. A photo app that I saw pop up a few times in my twitter and IG feeds last week. You know how some apps spike in popularity. And before you know it, your timeline is flooded with the newest way for people to express their digital identity. I know y'all remember the MyIdol app. Well, Motion Portrait, which was originally a Sony technology, is in the same ballpark. So, why do a review of this one? It literally stopped me from whatever I was doing for at least an hour. Why? their use of CG turns something familiar into well...depending on who you are, something really cool or kinda creepy. Here's how it works. You take or upload a portrait. Indicate where the eyes and mouth are. Hit next. And suddenly there's a face nodding and blinking at you. I'd compare it to the living portraits in Harry Potter. I don't want to be morbid. But, you remember the scene when Harry was looking at a photo of his deceased parents and they smile and look at him lovingly? It kinda gave me that feeling when I converted photos of a couple family members. I lost my maternal grandfather earlier in the year. And seeing him turn his head and smirk felt like some twisted version of FaceTime. Same thing with my paternal grandfather (who I never met). And here's where we might lose some people. I'm going to call it the Chucky Factor. Some people just aren't comfortable (illusion or not), seeing inadimate objects "come to life". It's unsettling. And don't get me wrong. It clearly looks like CGI. A bit robotic. You know, a hint of that Polar Express dead eye thing. But there's definitely value there. Specifically for artists. 95% of photos under the motion portrait hashtag were drawings and paintings. So, it kinda served as shorthand animation. I tried it with some old drawings I did in college. very cool. I'll include them in the show notes over at livingdigital.me. If you have kids, this would be a great app to integrate into art time. That way little Timmy can have nightmares about his own monsters. I'm just playing. It seems like a nice addition to the art world. That brings us to improvements. As of right now in 2015, the style and design seems very...2012. So, it clashes a little with the flat look that came in with iOS7. And like I mentioned before it clearly looks like CG, and does even more so when you use their recording feature. Ideally, when you speak, the portrait will mirror back what you say. But it ends up looking like a Jimmy Fallon lip flip and sounding like those parrot toys from back in the day. There are other features to add: wigs, glasses, beards...things like that. But for me, the selling point was sentimentality. And nobody does sentimental like Apple...and life insurance commercials. The Live Photo feature was introduced with the iPhone 6s in September 2015. Live Photo captures a 3 second micro video as you take a picture. And even as a compulsive photo and video taker I couldn't see the point. Why don't you just take a video? Then it landed with me. As it seems to be landing with a few brands that also "see it". Both Instagram and Tumblr have launched gif makers. There's a way to consume media in-between photo and video that offers something unique. A stimulation that's compounded when it comes to the nostalgic. So, as always, when it comes to playing with apps like this, I'll include examples in the show notes over at LivingDigital.me. And if you have cool gifs or motion portraits that you've created yourself I'd love to check it out. On Instagram I'm @LivingDigital. An online persona is a carefully and sometimes not so carefully crafted identity one establishes online. This includes everything from your profile pic to the people you choose to retweet. Are you getting the most out of yours? An online persona is a carefully and sometimes not so carefully crafted identity one establishes online. This includes everything from your profile pic to the people you choose to retweet. Your online persona serves as a personal PR machine. And since we all have one, we might as well put it to work. For example, say there's an actor named Ashton and... his goal, like many people, is to make relevant contacts and establish credibility in his field. This is common. And as buzz wordy as it is. I gotta say it. Doing this helps build your brand! So, you're turning who you are into the solution to someone's problem. And in with the rise of of Vine and Youtube stars, IG girls...twitter honeys...It's evident that interactions can equal dollars. So, if you're in the arts, this applies particularly to you. But back to Ashton the actor. Now that he has a goal, he can choose an audience and a method to reach them. A relevant audience might include casting directors, producers, movie lovers...And among these people, strategically he wants to showcase his talent and build a fanbase. What he could do is initiate and maintain contact with these folks. So that when he's online they'll be like "oh, yeah. There's Ashton. that actor with the sick headshot, who's sometimes in a web series and other times waiting tables in Hollywood so I know he's committed to his craft. Which reminds me. Let me listen to his podcast on method acting". Each interaction. Each...photo posted is a piece of a character profile that comes to people's mind when your name flashes across their screen. And this is a pretty black and white example, but taking a goal and using certain tactics to reach it is something people have been doing since the beginning of time. 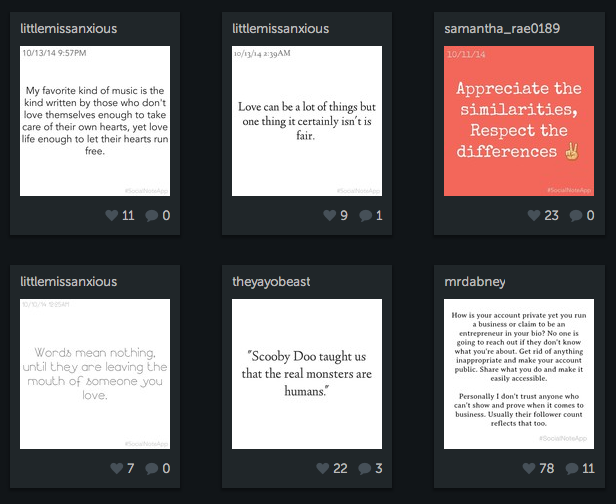 All we've done is added a dash of status updates and a pinch of instagram filters. Not that owning and crafting a brand is inherently...deceptive. I think it's great that people are able to take the reins and say "here i am. this is what I do. Look at how I do it in a way that I see fit". Tech has created a space for socially oppressed minorities to show themselves the way they want, combat defamation from traditional media as well as create opportunities. Which is awesome! Some people I think I have effective online personas are Vashti, Chris Classic on Instagram, OwnByFemme and Tim Ferriss (whose podcast I love by the way). Whatever your persona is, we'd love to hear from you. Head over to Facebook.com/livingdigitalpodcast. For show notes and more episodes, go living digtal.me. This week's episode reviews some best practices for online behavior. Freedom of self expression is one of things that makes America great. We are taught from young the virtues of freedom of speech. But we also learned that actions have consequences. In an age long ago before we blogged about everyday experiences, consequences weren't nearly as severe... (or expensive) as they are today. For example, we had binded paper contraptions called journals. I kept one through out my entire childhood. But back then, your worst fear might be that a few unwanted eyes might come across it. But even then there couldn't be more than a handful of people that really care what happened that time Amanda Taylor scratched your Spice Girls CD, AND journal pages were disposable, so it was essentially a 1000 times easier to "cover your tracks" so to speak. Today?...not so much. everything you do or say online is visible in one way or another. I'm sure many people already know this, but that still doesn't stop people from say, freely disclosing unfair pay in Hollywood, or bragging on facebook about crimes they committed...which I still can't believe people do. Of course there's the conversation about web privacy and surveillance but I'm going to address this from a relatively politics free angle. Today I am going to review some online best practices. Email travels through many servers and it only takes one without adequate security to put you out of a job. You may be better off cutting out the digital middle man all together by using 4 little words. "Call me to discuss". Great advice that I originally heard on KCRW's Martini Shot podcast. Take a topic that can veer into rowdy/blunt territory and take it off line. Instead of, in their words "telling the truth to each other in unvarnished language in a way that is searchable forever and easy to break in to." Some people said "well, I'm deleting snapchat". and while that curbs one form of information collection, keep in mind the camera on that same phone can be hacked into. And don't forget your laptop. Whether it's a trojan horse email or some other method, there's more one way for hackers to get what they're looking for. Long story short, don't fall into a false sense of security or the illusion of privacy. Take a longer look at those social media privacy policies, know what's possible, and protect yourself. If you don't want it read in a courtroom, don't type it. If you don't want you boss to read it. Don't tweet it. It's all up for grabs folks. And I say this based on how things are and the trend of where they're going as opposed to where we'd prefer it to be. But until we reach a point where our personal musings are contained.. like pen and paper. I say use caution. Have you ever been on Instagram and said to yourself, "I'd like to see some photos from Fiji", or some other beautiful place? Seems like a reasonable request. Technology has proven itself magical enough to let you virtually immerse yourself in all kinds of experiences. Of course, beautiful imagery is a YouTube/Google search away. But it's missing the realtime element that makes you feel connected to other people's experiences. Until Instagram's most recent update, you could search locations by hashtag (#Fiji), but inevitably find a million unrelated things. Thanks to hashtag abuse, many of the images were either spam or photos of Fiji water bottles. Like Twitter and Tumblr, you can see which hashtags are trending, which is great for those who aren't seeped in every meme or current event. It's a form of curation that has been missing for too long. Not only is there a spotlight on relevant topics, but places and events as well. The culling of images and video for current events is very Snapchat-esque. You're able to see popular locations and landmarks (local as well as national). You can see what the L.A. locals are up to, catch every costume at ComicCon, and view how other people live in general. Curation is one of my favorite words. It breaks through the noise and brings organization to chaos. 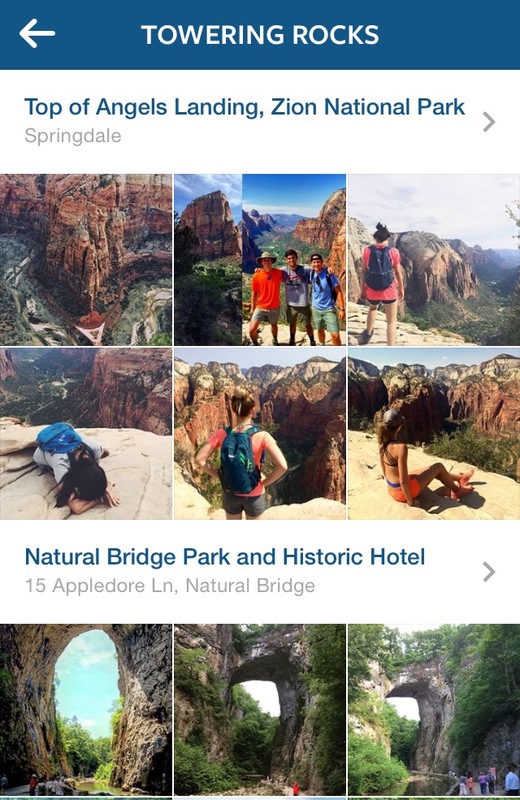 In this section, Instagram chooses a topic and brings the most beautiful photos related to that topic (categorized by location of course). Current examples include Towering Rocks and Extreme Athletes (see above). These currated collections are akin to some of the vibrant travel photography on Tumblr. Which brings us back to Fiji. Only this time, the results are way more relevant. 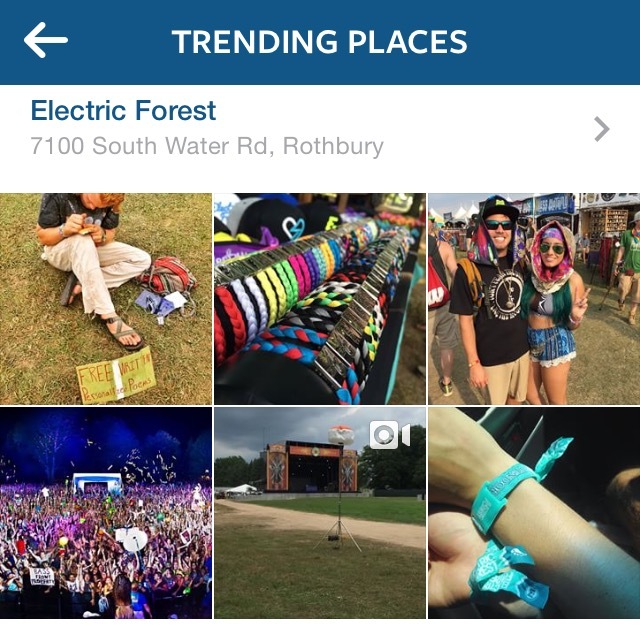 Instagram users have been adding photos to their maps for years, but none of it was searchable. Until now. Whether or not you have virtual wanderlust, this feature is definitely worth exploring. Social media is great, but we're often insulated by what/who we already know. This feature opens up opportunities for discovery and an incentive to leave our timelines. Make-up apps are definitely a great way for makeup addicts to get a fix. The latest and most innovative among them being MakeupGenius from L'Oreal Paris. This episode of Living Digital describes the app functionality and my experience with it. Download MakeupGenius from the app store! When I was little, makeovers were one of my favorite things to do. I loved transforming myself, my friends, my baby sister. Whether I was good at it or not, there was something about creating a new identity. So, when CD rom computer games became popular, I swore it was the best thing to happen to makeovers since paper dolls. Inevitably, that industry evolved to the makeup apps and games of today. The most recent development in this type of digital amusement is the MakeupGenius App from L'Oreal Paris. They call it the "first virtual makeup tester", which was launched in May of 2014. You might be saying, how is this different from any other make up app. Because that's exactly what I was thinking. But I'll explain the differentiator in during our how it works segment. Which I thought needed some theme music of it's own. So, when you download the app, the first step is to capture your face in a relaxed position. But if you have a "serious" resting face like I do, you may want to "smize" or smirk a little. Well, actually that wouldn't matter in this case, as you're about find out. But yeah, click the SCAN button, and you're taken to a page that looks like a L'Oreal advertisement. Button one says tap here to try on a product and button two says tap here to try ready to wear looks. I tap option one and two more options appear. It's a very minimalistic approach. It's like "blue pill or red pill" "right or left". Not alot of distracting imagery or advertisements, aside from the L'Oreal logo at the bottom. Anyway, the options on this page are to "scan a product" or "browse products". And since I didn't have any L'oreal bar codes handy I chose the latter. The bottom of the screen shows six items to add to "your look". Lipstick, lip gloss, lip liner, eyeliner and eyeshadow. When you make a selection, you are taken to a page with a handful of options from that category. It looks like a product results page more or less. And just like any product page, there's details about each product, the difference is, once you hit "try" the item you chose is applied in real time. What was once just your beautiful face looking into the front facing camera becomes your still beautiful face just with perfectly applied liner. I was like "this is so cool!!" You know what it's like? Freaky Friday. (picture whichever version you prefer). You know when the main characters look in the mirror and see a different face? I imagine it's like that, but on a less traumatizing level. Click the info button and you'll You can apply the products to your reflection in real time. You can squint, frown, make faces and the digital makeup stays in place...for the most part. So yeah, that's the differentiator. Alright, that was the basic functionality but other features include: the ability to purchase items, record and take photos while wearing your new look, which can be shared via Facebook or email, and if you don't feel like creating looks from scratch, you can always choose from expert curated looks. So great and innovative app in my opinion. So how did they do it? Well, Guive Balooch, director of L'Oreal's Connected Beauty Incubator, says that By combining their knowledge of consumers and the science of colors with technologies for monitoring facial expressions, they have been able to calculate the best algorithm to produce realistic makeup application in real time. I do have a few disclaimers. When I tried to take a look at the check out process, every item i selected was out of stock. And when it came to make up application, I really wish I could adjust the intensity of the makeup application. I had a Tammy Fay Baker thing going on there a few times. Then there's the lipstick. Those endowed in the lip department might not get the best coverage. It only covers about 80% of my lips, so it looks odd. I hope they make adjustments in the future. They definitely want to account for the Carrie Underwoods asWELL as the Kerry Washingtons. If you'd like to check out photos and videos of my experience using the app head over to Livingdigital.me. thats livingdigital.M-E and look for episode 12. You'll also find all the social media links over there. Facebook, Twitter, Instagram, and now Tumblr. As always, I hope this has been helpful, and thanks for listening. Memes and gifs are everywhere! This episode breaks down the basics of memes and gifs, and highlights some great sources for those that love sharing and creating memes. And then I said "Hey girl. So, you're telling me, that moment when you're forever alone, One does not simply say "you mad bro.?" So if you're an internet addict, you might have noticed that sentence was made up of meme titles. Which speaks to how many and how popular they are. Today's episode I'll breifly break d own the basic s then highlight some great sources for those meme makers and lovers. But first.. the definition. Wikipedia defines it as an idea, behavior or style that spreads from person to person within a culture. According to about.com, the word "meme" derives from the word mimema. M-I-M-E-M-A. Which means something immitated. It was introduced by Richard Dawkins. and his definition categorizes it as a way for people to transmit social memories and cultural ideas to each other, which accurately describes what is known today as an internet meme. To be more specific, where the internet is concerned, memes are spread via, images, videos, hashtags, and even intentional misspelling. We also have the gif, the memes cousin. Gif, which stands for graphic interchange format, is often defined with a lot of tech jargon. but I like the urban dictionary definition . It is "A form of computer image that moves as an animation, because it consists of frames, like a movie with no sound." Gifs in themselves can be considered memes. What makes them so popular or appealing? well, It has the same structure, as a running joke. A lot of the time the origin brings the initial interest but layers added by the online community is the true essence. And it takes a really creative person to use in a creative way. This art has actually become a profession in itself. People like King batch and Brittany Furlan], are professionally "in on the joke" and If you're on vine, some of those names probably sound familiar. Hence why they have been able to monitize their personality, more or less. I bring this up because you can't talk about gifs without mentioning Vine. Vine, which launched in 2013, is a short form video sharing service. Like gifs, they play in continuous loops, have been used to express reactions, or they are watched over and over simply for the entertainment value. I'll post some of the most popular memes, gifs and vines on the blog and you'll see just which social memories tend to resonate with society. I'm interested in seeing what analysis will be made about this time period based on our affinity for...some of these crazy images I see on my twitter timeline. When it comes to viewing memes, entire communities exist; imgur (or image jurr, however you prefer to pronounce it) and reddit and tumblr being among the most popular. A lot of times the comments are the best part and may generate a memes of itsown. So that shows again that the creatvity of community is what breeds memes. 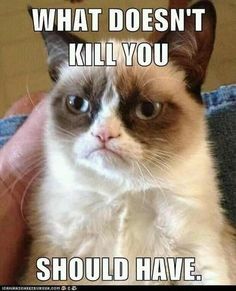 What are some of your favorite memes? post them on our Facebook page which is (enter) or tweet us. Living Digital chats with app developer, photographer, entrepreneur, and all around great guy Vaughn Dabney. In this episode, Vaughn shares a few of his projects, tells us what brought him to the world of app development, and gives advice to those aspiring to follow a similar path. To learn more about Vaughn, go to http://mrdabney.com/. This episode of Living Digital takes a look at the wearables industry. Behold the various forms of wearable technology. Interact with your notifications without constantly being on your phone. Similar in functionality to the Mota Smart Ring but for the chunky jewelry enthusiasts. Tracks and streams biometric data to your phone in realtime. Features include fitness tracking, voice control, and notification capabilities. Provides realtime insights about your baby's activity (including body position, temperature and breathing pattern). Bringing technology more seamlessly into everyday life by providing a second screen for your mobile device. This sports bra is equipped with a heart rate monitor. (Compatible with various fitness apps). Last but not least, this customizable watch lets you see and respond to messages, track fitness activity, make payments, and more. Welcome to the podcast. Darth Vader, Geordi La Forge, Tony Stark have in common? Wearables: the subject of today's podcast. Wearables refer to wearable technology. Like the Smarthome industry, it weaves technology into everyday life to make things easier. The main functionality we see today is related to quantified self. If you aren’t familiar with the quantified-self movement, it is a way for us to incorporate technology into the collection of data. Like physical activity, sleep patterns, heart rate, etc. They come in various forms. watches, wristbands, and of course Google glass. The most popular wearable being talked about these days is the Apple Watch. Features mentioned in the Apple Keynote include messaging and calling, communication with Siri , fitness tracking, and Apple Pay. Which I am excited about. Other popular wearable brands include the Nike Fuel Band, Jawbone Up, Fitbit Flex, and Google glass. ABI research predicts that 90 million wearable devices will be sold in 2014. Big brands are definitely on this bandwagon and so are startups. When it comes to perception, I’m sure there are many people who think wearables aren’t overwhelmingly beneficial, but I think they are useful in the same way that smartphones are. Just in a different form. I wouldn’t be so quick to dismiss them because the way some of us always have our phones, it might as well be an additional limb. The beginning of this industry may seem clunky at times but these things will most likely be one of the keys to help us live longer. There are so many directions they can go. Can you imagine, I don’t know, a toe ring that…automatically dispense insulin to the when the body has an allergic reaction…or earrings that give you your daily dose of vitamin C. You know? Marrying science and technology just expedites this self care marathon that we call life. I’m looking forward to seeing the world post Apple Watch. We take a look at 2 apps that were created for protesters and individuals that may encounter police brutality. Kim Kardashian's addictive new app is estimated to earn $200,000,000 by the end of the year. Kim Kardashian can add phone app to the list of her many ventures. Out of curiosity, I had to download it. How was it? Take a listen. What is a Smarthome? Listen to hear the basics. Review of the state of video messaging. Your Phone + Videos + Filters = a creative way to capture memories. Take a listen to this review of Cinamatic (from the people who brought you Hipstamatic). Click to see my Cinamatic experience! Note: Music and frames were added after the fact with the PicPlayPost app. Do you Uber? Take a listen to this app review and see if it is for you.